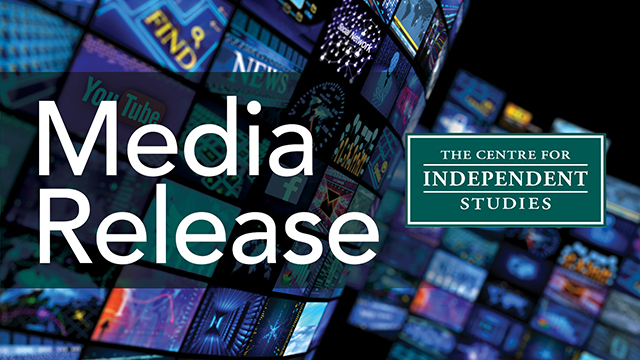 Crucial aspects of superannuation policy and proposed changes are examined in papers published in the forthcoming edition of the Centre for Independent Studies (CIS) quarterly journal, Policy. The first of the four papers, by CIS Research Manager Simon Cowan outlines superannuation’s failure to reduce pension bills or make more people self-sufficient. CIS Research Fellow Michael Potter analyses the problems with the proposed increase to the superannuation guarantee. CIS Senior Fellow Robert Carling investigates how super should be taxed. Terrence O’Brien outlines the case for grandfathering any changes. Key points of the four Policy papers are below, and the full papers can be accessed online in aspecial pre-publication set. Superannuation policy has suffered because the purpose of the system has been unclear. The only legitimate purpose for government incurring tens of billions of dollars of cost in mandating retirement savings is to limit the impact of the growing age pension bill on the budget: other justifications are needlessly paternalistic (eg boosting retirement incomes) or the result of faulty logic (eg superannuation acting as a ‘boost’ to wages). The biggest benefit to taxpayers from compulsory superannuation comes from making as many people as possible independent of the pension for as long as they can be, not from boosting superannuation balances of very low income earners or increasing the retirement income of those who would likely never receive a pension in any case. Current superannuation settings don’t match savings preferences: in particular the superannuation guarantee compels low income workers to save money they would otherwise use to boost living standards (which in turn requires government to provide additional income support for those families) and annual caps prevent those with broken work patterns, especially women, from catching up. A better superannuation system would focus on balances held in superannuation accounts not on income earned by contributors – those with average balances (especially those earning good wages) should be incentivised to contribute more, while those with very low or very large balances should be outside the superannuation system altogether. There would be far better results from a 3-tiered system of lifetime caps, where those with superannuation balances below $800,000 paid less tax, but those with balances above $1.8m were taxed more and exempt from compulsory contributions. Cancelling the planned increase in the superannuation guarantee (SG) to 12% will have many benefits to Australian workers and society. The SG increase is likely to cut take home pay by about 2.2%, with yearly wages growth falling by about a quarter. Lower wages will discourage work, particularly by women. Independent analysis of retirement incomes shows no further SG increase is warranted, particularly as the SG increase will cut pre-retirement incomes. The SG increase will worsen the government’s budget position for at least 40 years and will therefore harm efforts to respond to population ageing. The planned SG increase will mean households are more exposed to large financial risks, as was demonstrated during the GFC, and will reduce the efficiency of financial markets by forcing households to save through the less efficient superannuation system. An increase in the SG has particularly poor equity impacts: workers who are already at significant disadvantage in the labour market get little or no benefit from the increase, while the benefits disproportionately go to the rich. Independent studies, under reasonable assumptions, show the SG increase will cause cuts to take-home pay, employment, investment, and GDP. Without the need for budget repair, pressures to increase taxes on super and tighten limits would not have gained traction. Super is too tempting a target for politicians on the hunt for revenue, and participants should be alert to the risk of repeated raids in the future. Balancing the budget is important but in itself does not override the principles that led to the concessional treatment of super. The tax and regulatory system for super should be grounded in those principles, not arbitrary interventions to raise more revenue. The degree of concessionality is a matter for judgment, but the issue has been framed by misleading references to ‘tax free super’ and ‘$30 billion a year in lost revenue’. There is no such thing as ‘tax free’ super and the benchmark used to estimate foregone revenue is not fit for purpose. ‘Fairness’ is often cited as a reason to tighten concessions, but there is more to it than taking more from the rich – such as a fair return on effort and sacrifice through saving and foregone consumption; and honouring policy undertakings which formed the basis for peoples’ past commitments to super. Contribution caps are necessary, but their levels need to be actuarially based and allow flexibility in the mix and timing of individuals’ contributions. The tightening proposed by the government is draconian and a detailed justification is lacking. Superannuation is a uniquely restrictive and long-lived financial commitment, now often covering 40 years saving (some compulsory) and 30 years drawdown after retirement. Retirees’ living standards are vulnerable to precipitate rule changes. Super requires trust. Taxation over the contribution, accumulation and pension phases should be predictable and adverse changes should not damage lifetime saving plans legally built under previous rules for those in or near retirement. The Budget’s proposed tax increases on superannuation target those self-funded retirees not likely to access the age pension, and those savers in their late working careers trying to reach that fortunate position. In contrast, past significant tightening in retirement income design has often been facilitated by ‘grandfathering’, which applies existing rules to those in or near retirement, while applying new rules to those with time to adjust to them. Grandfathering usually carries some cost in complexity and always delays revenue gains. But for measures claimed to improve fairness and longer-term sustainability, grandfathering is worth exploring to achieve successful implementation.